Running Down The Walls is here again! 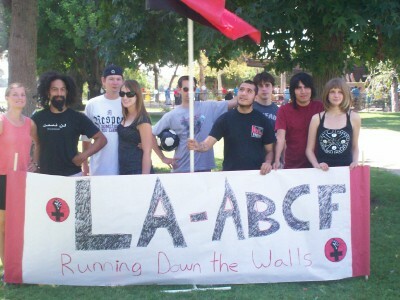 The Los Angeles Anarchist Black Cross Federation is proud to announce the return of Running Down the Walls (RDTW). RDTW is a 5k run/walk for Political Prisoners. Due to increased demand by PP/POWs and community activists, LA-ABCF will be organizing the next RDTW on Saturday, September 8th, 2007. We hope our friends will come out and support the run just as they have in past. Our goal is to increase the number of solidarity runs in prisons and other cities, as well as, raise much needed funds and awareness for our comrades held captive as political prisoners. As of right now we have solidarity runs in USP Big Sandy, MCI Walpole, Boston and Western Massachusetts. Proceeds from this run will be divided between the ABCF Warchest and the Black Riders Liberation Party’s Defense Fund. We are asking people or groups who are running to collect as many sponsors for the run as possible. Remember the money received is going to help imprisoned comrades and assist the Black Riders in the legal defense from recent police repression. We wish to expand the solidarity runs in more cities and prisons. Please contact LA Anarchist Black Cross, if you plan on doing this. 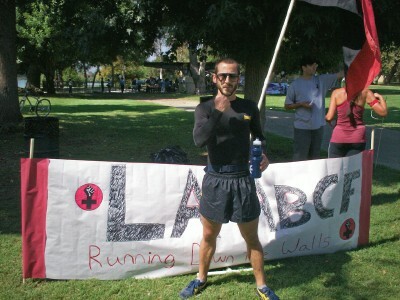 Also, the LA ABCF welcomes anyone interested in helping us to organize the LA run.